Boating Club | Kent's Harbor, Inc. 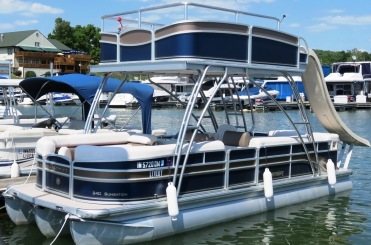 Choose from any of our 15 late model Premier Pontoons, Sweetwater Pontoons, or Hurricane Deck Boats. Call (765) 458-7431 to reserve. Remember to arrive 15-20 minutes prior to your scheduled departure time. This allows enough time to complete the contract and for a brief demonstration of the boat.